Home » Gadgets & Apps » Is WhatsApp becoming Zimbabwe’s preferred app store? Is WhatsApp becoming Zimbabwe’s preferred app store? Zimbabweans are using WhatsApp for a whole bunch of things, whether it’s chatting, sharing files (pdfs and documents), voice calling or its latest feature video calling, WhatsApp has found a way to fit into many users communication needs. 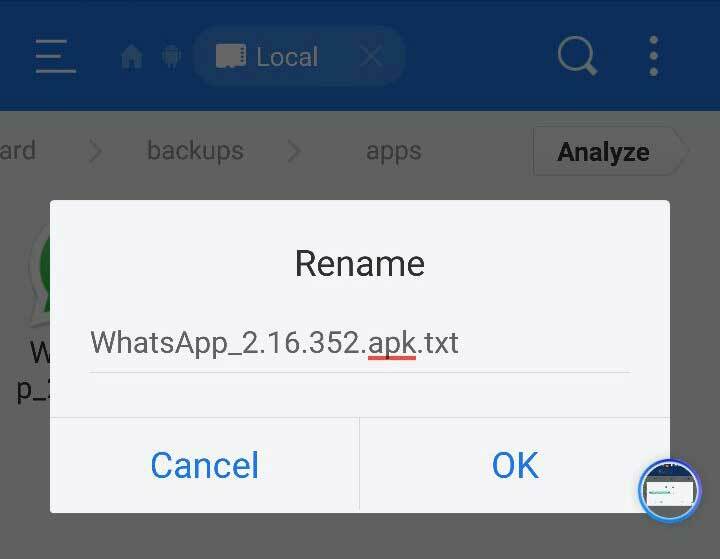 However, one feature that has gone relatively unexplored (at least by us) is its ability to send and receive applications for users to then install on their devices, a hack some Android device owners have been enjoying since WhatsApp introduced document sharing slowly making it the preferred app store to many Zimbabweans. The cost of mobile data in Zimbabwe is too high, we are the third most expensive in Africa! This cost barrier has left many mobile subscribers pretty much offline relying on social media bundles to stay connected and updated with the happenings of the world. The practice of accessing the built-in app store has become a very expensive experience as subscribers need to spend data on browsing the store and downloading applications. Many subscribers have now looked to maximise their only internet gateway, social media bundles, to get a hold of the latest applications available on the market and in beta testing. The general idea is why should I be left behind? which is the right mentality when it comes to technological advances both locally and internationally. There is no reason to be left behind when you have the means and ways to stay up to date, even though it may not have been the intended purpose of WhatsApp. How do people share the apps? There now quite a few Whatsapp Groups for sharing applications. Just like how there are groups for football, politics, entertainment or academics there are active Whatsapp groups for Android applications (apks) which help people share any new or old apps. After joining the groups there is usually quite a lot of conversation and buzz around new apps and once someone sends the app you can decide whether or not you want to try it out. If you do decide to try it out, you can follow these steps to install it. We can’t exactly share the group link here as we aren’t group admins or owners of the groups, but if you do decide to be a part of it, you could join our TechZim WhatsApp group chats where you can request for an app or get request to be added to one of the app groups. This is arguably the cheapest way to keep up to date with the latest apps both locally and internationally. It’s different from sharing apps via platforms like shareIT which use Bluetooth as their main channel so distance and location are not major factors as long as you have an internet connection or WhatsApp bundle you’re guaranteed to get the app. It has also provided local app developers a platform to distribute their apps and get feedback from genuinely interested people on any bugs or issues, the old methods of uploading an app to the official play store are slowly being overtaken by unconventional app sharing methods like this, something we particularly noticed with BINU which had 30,2% of its 59k downloads come via Bluetooth transfers of its apk. What do you need do you need to join in? First of all, you would need an Android device, secondly, you would need an internet connection, in this case, were looking at social media bundles from mobile operators, but the same concept applies to wifi connections. We recommend NetOne’s One Fusion $10 (per month) package which offers unlimited WhatsApp access for the month among other unlimited social media bundles.Other mobile operator WhatsApp bundles are capped so you could do it with them but should keep an eye on the data consumption, you might just finish your bundle in a day. To read the steps on how to send, receive and install applications read here. We have been doing this, and we not high profiles who are worried about their security to the extend of stopping it. We shall continue and we shall continue, until they stop it, you can’t stop us now you can’t stop us. We call it a hack, and we happy we use whatsapp bundles to share files, we happy we can use social media bundles that are issued for free to access all necessary apps without data, you can’t stop us now, you can’t stop us. Batsie thank you for spreading the word, we really thank you for that, we really thank you. The day you receive and install malware, or some app that has ill intentions, is the day you rue your so called hacks.